Before. 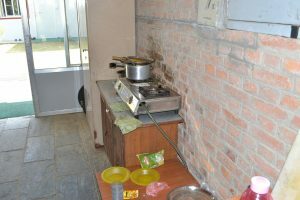 All of the children were fed from this tiny kitchen. 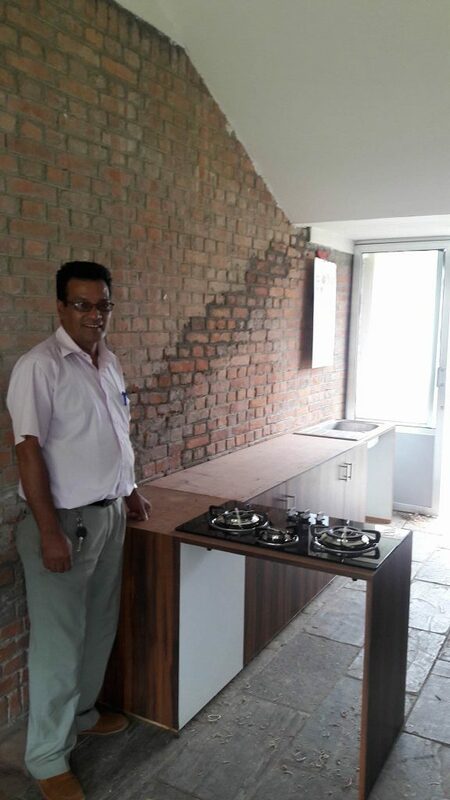 A recent project was our KitchenToKathmandu. While visiting the SGCP School for kids with cerebral palsy Bryan asked Bimal (director of the school) what sort of things we could raise money for. The kitchen was mentioned… Unfortunately Bryan then had a light bulb moment – which may have been better during a power cut – his colleague (Hattie) just happens to be partner to a young man (Harry) whose family own a high spec kitchen-fitting company BKNC.co.uk. Bryan asked Hattie to ask Harry if his company could provide some kitchen equipment for the school. To our astonishment the answer came back very quickly as a “yes”. Then the hard stuff began. How the hell do you get a kitchen to Kathmandu? Raising £1,350 was a good start. Getting the kitchen from UK to Nepal proved to be far too complex an operation. We tried airlines, shipping companies, BK Nolte’s own highly experienced logistics team and even the Ghurkas. Oh and the RAF. All to no avail. 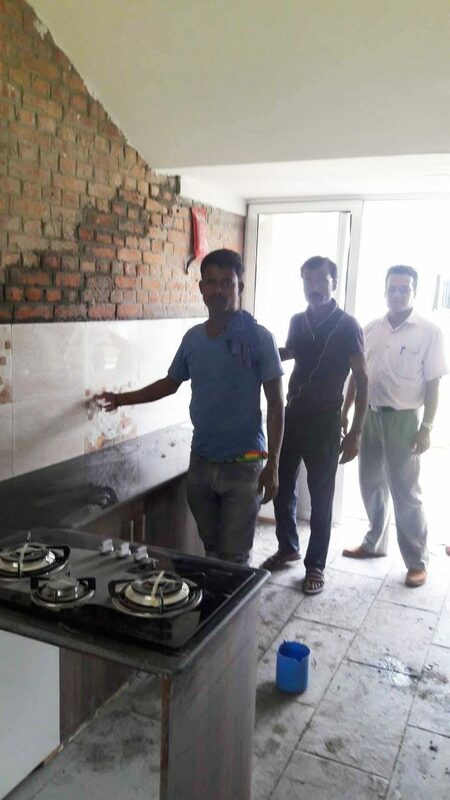 Eventually we decided to do what we should have done in the first place and sent the money with our volunteer Brian Jones who then gave them the money for them to buy a kitchen locally. Job done. Here is the new kitchen in progress.